How to start the car in cold weather. How to start the car in cold weather and do not stay «horseless» at the most inopportune moment. With such a problem in practice, the Russian car owners faced six months of the year. Arctic air and frost -30 ° C are not uncommon in Russia, but the promised European winter still evade us by. To start the car in this weather, you need to have certain knowledge and skills. Let us not waste time on empty talk and move on to practical training. Start the car in the cold case is quite troublesome, but fortunately it is feasible. 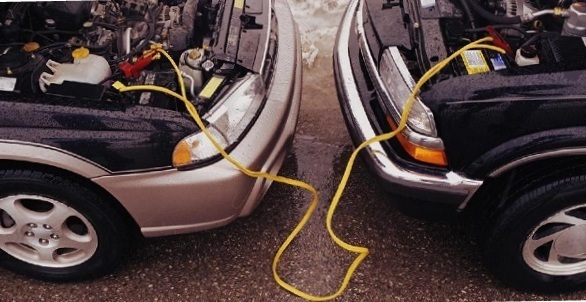 Similar problems occur with the car at a temperature of about -20 ° C. Any foreign car you have or domestic vehicles of any battery in such circumstances lose 50% of its capacity, and if it is old or discharged during the cold bad car is better not to start. Also worth remembering that the engine start in minus weather is 500 km run, so before continuing their attempts, you must weigh the pros and cons. If you decide to have a unique car in the bitter cold, the first thing to do is for 10 — 15 seconds, turn on the high beam. The consequence of such actions would be the reaction in the batteries, the electrolyte heats up, and you get extra energy for running cars now squeeze the clutch. But twist the starter for more than 5 — 7 seconds at a time is not necessary, that you simply flood the plant fuel or spark the battery completely. If all goes well, the second or third attempt, you can easily start the car in cold weather. Get a move gently, allow the engine to warm up evenly. And if it turned out that the battery is «dead», it will have to revive with the help of the donor by the «Booster». To do this, you need a special copper wires with clips directly to the machine itself and the donor. Injection vehicles require special attention and care, there is a lot of electronics sensitive to voltage drops, so observe all safety precautions. Pull the wires only from «dead» to the charged battery. Otherwise, the old, defective or irritable battery can explode and people simply being there, seriously hurt. Therefore, at the time of final connection better immediately step aside. Plant equipment can be a problem only after the supply charge the car will be turned off. Otherwise, the latter may suffer due to a sharp surge. Now safely remove the wires. If you start the car in cold weather «Booster» and did not work, there is still one method — pull. To do this, we look for a cable and a second car. Turn on the ignition, put into neutral and move to the permissible speed for towing. Now squeeze the clutch and switches to the third gear, thus the motor receives less load. Slowly release the clutch. If the car wound up and the engine works steadily, it is necessary to pass a few meters. This is to ensure that during the stop he was not decayed, and simultaneously recharge the battery. It should be taken as a rule, on the eve of the evening, pull the choke all the way, so you will block access of cold air into the warm carburetor, do not allow him to freeze to death at night and get rid of such troubles, as the condensate. Also, do not forget that any violent methods to start the machine in the cold adversely affect its overall condition, so if there is an alternative, better Odakyu taxi or any other form of transport, and leave your car until better weather conditions. « How to choose WINTER wiper.